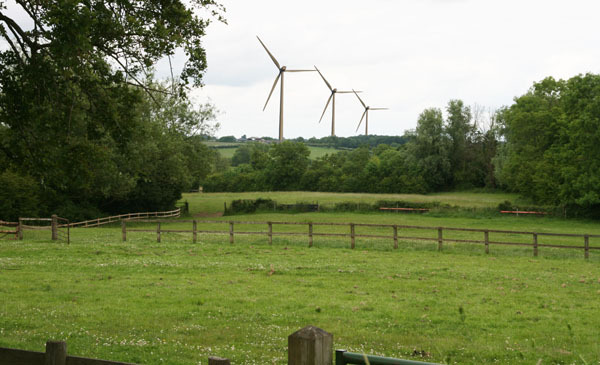 Enertrag UK, the British subsidiary of a German company, is proposing to build a wind farm comprising nine turbines in the open countryside between the villages of Sulgrave and Weston. The height of these turbines, from ground level to the tip of the rotor in an upright position would be approximately 125 metres (410 feet). To give an idea of scale, this would be higher than the spire of Salisbury Cathedral and two and a half times higher than Nelson's Column. 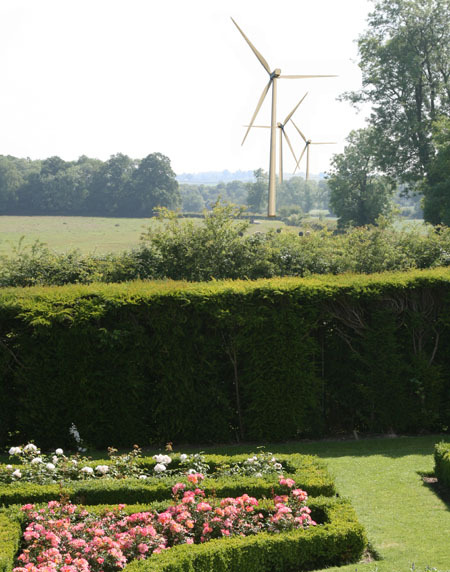 Three of these turbines would be less than 1000 metres from houses in the village and one of them would be 850 metres from Sulgrave Manor. permission of Ordnance Survey and Ordnance Survey of Northern Ireland. 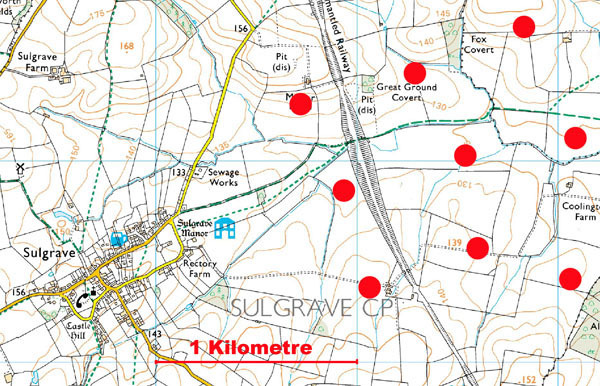 There is no current information on the new roads into this area which would be needed to construct and service the turbines but these too will have a considerable impact on the village and the local landscape. The proposal can only go ahead if it receives planning permission from the local planning authority, the South Northamptonshire Council. For a proposal of this magnitude, the planning application would need to be accompanied by an Environmental Impact Assessment, setting out the probable effects of the project on the local landscape, the community, the wildlife, the road network, aviation and so on. The first stage in the preparation of such an assessment is a “Scoping Report” which sets out the matters to be taken into account. The company have submitted such a report to the South Northamptonshire Council and only when agreement is reached on the contents will the assessment begin. The work of making the assessment will probably take about one year. The company would then be in a position to submit a planning application to the Council. The Council will consult widely on the implications of the proposal before making a decision and will need to take into consideration all representations, including those made by the Sulgrave Parish Council and local residents. If the Council were minded to refuse the application then it is possible that Enertrag would appeal. There are various ways in which appeals are heard and in this case it is almost certain that there would be an inquiry held before an Inspector appointed by the Government. Enertrag would make its case and any objectors would make theirs. The Inspector would make his report and recommendations to the Secretary of State (for Communities and Local Government) who would make the final decision. There would be no further appeal possibilities other than on a point of law. Similarly, if the South Northamptonshire Council decided to approve the application there would be no possibility of appealing against this except on a point of law (e.g. claiming that the council had neglected to consult properly). 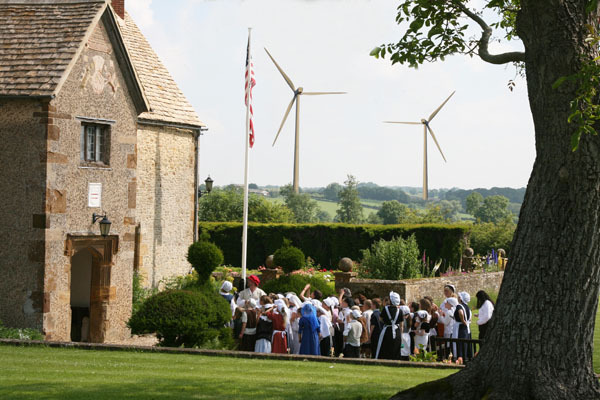 A public meeting to discuss this proposal took place in Sulgrave Manor on 15th July 2009 and a full report on this may be seen here. 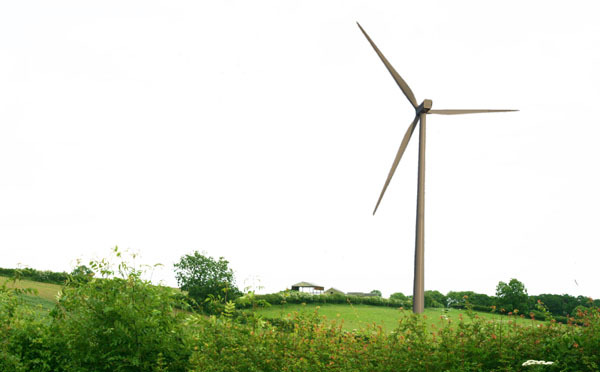 *The photographs on this web page are a representation of how the wind turbines may appear based on the best information available as to their proposed size and location. The scale of the turbines on the photographs is based on images made of similar turbines at the same distances and using the same focal length lens.